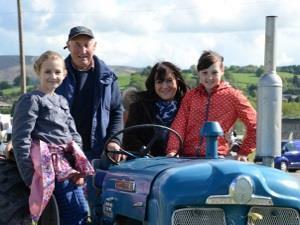 With an emphasis on celebrating rural life, the festival will be packed with all different types of livestock, horses and other animals taking part in a busy two-day schedule of competitions and displays. As usual all the other attractions and popular areas will still be there for you to explore and enjoy. Hundreds of horse classes, scurry driving, vintage vehicles and caravans. The Country Life area which features the only Premier Open Dog Show held in Wales, the Royal Welsh Trail Running Festival, children's activities, country pursuits and much more. Gate price – Adult (17+) £15.00, online £14.00. Children under 17 free.